Looking for alternatives to Calltracks? Tons of people want Inbound Call Tracking software to help with geo-routing, call recording, and call scheduling. What's difficult is finding out whether or not the software you choose is right for you. We have compiled a list of Inbound Call Tracking software that reviewers voted best overall compared to Calltracks. Based on reviewer data you can see how Calltracks stacks up to the competition, check reviews from current & previous users, and find the best fit for your business. "CallRail Is a Valuable Tool Every Marketer Should Use: The best thing about using CallRail has been the ability to track the source of every incoming lead we get—be it from an online ad campaign (Google AdWords), an email campaign, print collateral, magazine advertising, or whatever. Being able to accurately track the source of our leads has been valuable, and helps guide our decision-making regarding which efforts are paying off, and which ones are not. We are not even using CallRail to its full potential...yet. There's a lot more that we could be taking advantage of, and hope to in the near future. " "Ctm review: The system once you learn how everything works is very easy to use. The soft phone feature on ctm is very easy to set taking calls. You are search for your calls in a variety of different ways by email, number or name I love this feature." "Great system to manage calls: Invoca is simple to use, quick to set up and does a great job. The reports, stats, recordings, etc are great. Its definitely one of the best systems I've seen. The support staff are also very responsive and helpful. Managing campaigns is relatively simple. The platform allows useful customization of calling hours, IVR, restrictions, geographic filters, etc. I've been happy with it." "Already Recommended - Y'all make life easy. : Affordable. Easy to use. Customer Service is better than any other. I've always had prompt help. Staff is knowledgeable and easy to understand. AND THE CALL DNA!! When you got that, it was SO GREAT to visually be able to hop around calls, see how many rings we take to answer, and more. Really great stuff." "Century Interactive and Car Wars: In the past a lot of the staff were saying I called them on my cell phone, now they can enter their cell number in the system, and make the calls. One hurdle down for the management. the staff can no longer say I made X amount of calls to all my customers, their is now report that shows how many of the call were actual Live Conversations with the customers, removing the smoke from the call attempts. Over all the best Phone system interaction with a CRM tool out there.. "
"Leading Call Tracking Software -Don't Hesitate: The ease at which I can get data on which of my Marketing efforts are translating into real leads for the business. Also the account managers are amazing and always wanting to make sure we get the most out of the product." "Great service, clean platform, excellent service: The platform is clean and streamlined. Reporting is easy to view, and I like being able to listen and tag calls so easily. I also feel confident in sharing this with clients and allowing them access to use the service, as well." "Ringba - One of the Best PPCall Tracker: They keep rolling out new features and resources which are ideal for pay per callers to stay in touch with the latest trends and tactics." "Love Retreaver! 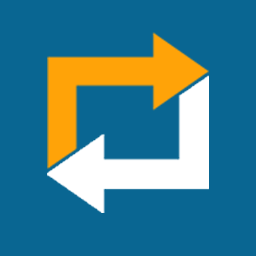 : I can’t say enough good things about Retreaver! Initially I was won over by Stan’s quick-witted humor and ability to answer all my questions. They are reasonably priced and have virtually all the features I required. I am extremely happy with the usability of the system as well as the way above average customer service. I love that they are working on a system to find possible synergies between their current clients to further benefit everyone involved. " "Convirza gives us the flexibility we need for campaigns and so much more: The ability to quickly assign a phone number and track the use of that number wherever we promote it. The fact our sales leaders can also have access to the calls to review is a secondary benefit for us. The cost makes this a no-brainer." "Exceptional customer service! : CallSource's account managers (especially Hillary Duda) are exceptional. Their response time to our questions, concerns and account changes have all been done quickly. They go as far to double check change requests if they believe you have submitted something that might not be correct. This is better than most companies that blindly make the change, saying “that’s what you asked for”. This extra service has been valuable on more than one occasion." Ringostat is a European startup that develops call tracking software. It allows to figure out which advertising campaigns are leading to phone calls and thus measure their effectiveness. This call tracking service allows to record inbound phone calls and provides businesses with full-featured cloud PBX. The data from Ringostat Analytics system can be transmitted to CRM, Google Analytics and Google Adwords. "Robust solution for track call source: "With Ringostat you can both set up a call center for outbound calls and track the inbound calls from your advertising campaigns. Ringostat provides cloud PBX and SIP numbers available for rent, which means that you don’t need to connect any other service to start making calls. Moreover, there are a number of analytical reports generated by Ringostat that help supervise the work of call agents (the distribution of missed calls by day and time of the day report.) As for tracking inbound calls, Ringostat provides all the information available on the call - source, channel, campaign, keyword. There is also multi-channel funnel report and call status statistics for more in-depth analytics."" "Great Phone Tracking Service - Excellent Support: We have been using Infinity call tracking for several years and we are very happy with the service. It allows us to track our numbers and understand our customers journey from lead to the sale. Customer service is great! Had an issue today where we needed to turn a dynamic number into a static diverted number and Sam in the support team had it done in under 10 minutes! Its great to see a company that supports their clients by support ticket and then follows up with a phone call. Thank you"
"Great company, great customer service: We use Telmetrics for purchasing numbers in US and Canada. The company is committed to providing excellent service to their clients with a dedicated account manager as well as members of product development and software development teams ready to address our requests. They went out of their way to work with carries to improve the quality of calls for certain remote areas in Canada and made our clients happy. The company stays on top of technology advances and is offering automated call scoring features that analyze customer conversations and automatically score whether a caller is a lead or non-lead." "Amazing System! : There isn't only 1 factor, there are more than 5 I can think of at the top of my head right now... 1. amazing reports for optimization 2. amazing tracking 3. easy to set up accounts 4. easy to catch errors and fix to make more money 5. advanced technology is always a plus! 6. easy to communicate and show my clients their trends." "Best Website Widget for Sales Team: Lucep is an Awesome Sales widget to add in your websites, unlike the usual chat box where somebody has to be monitoring it, lucep gets you the details on the go and it is easy to use and integrate. When a lead requests a call, we get analytics-packed alerts and respond back to leads from anywhere instantly." "Great system: We enjoy the three touch sequential marketing tool the most, but enjoy the constant integrations that help us improve what we do. 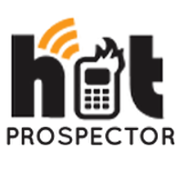 Hot Prospector is constantly adding new features. I feel like we haven't even begun to use everything this tool can offer a client. " "Clear and simple call tracking: Calltracker.io was a pretty easy choice for tracking calls - it's clear, simple, effective and has a great team behind it. No frills, no fuss, just simple with a UI that's easy to get around in. We have really appreciated the hands-on support from their team -- it shows how much they care about the success of their product." "Awesome call tracking service; great customer service; professional product: Great product that makes call tracking and setting up call tracking a breeze! Also awesome customer service." "Simple & Easy to Use: The ability to track who called us, when they called a certain number. Track phone calls back to all your marketing and advertisement channels: Search, Social, Display and Print using AvidTrak supplied numbers and tracking software. Call Recording, Greeting, Whisper, Voicemail and IVR. They have Analytics, API & Platform Integrations; Reports on Call Conversions into Adwords and Google Analytics. 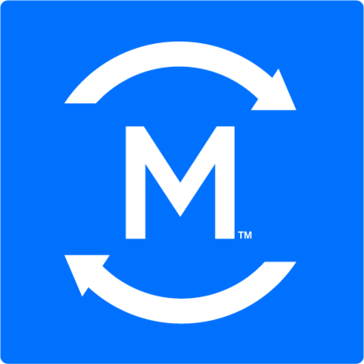 Deliver Call Conversions into Marin Software, IMPAQT bid management platforms. Use our powerful and versatile API for customized proprietary reports." Hi there! Would you like help finding solutions similar to Calltracks?